Michel Gondry’s 2011 Green Hornet movie is an odd beast. It came out in the early days of the modern superhero craze, but it was based on a character that most young people had definitely never heard of. Also, it was sort of a goofy, comedic take on the superhero genre, which probably scared off some potential fans in that long-ago, pre-Guardians Of The Galaxy world. The movie turned out okay, but nobody’s really clamoring for another chance to see Seth Rogen and Jay Chou awkwardly cracking jokes and beating up goons in a sequel. And thanks to Sony Pictures losing the Green Hornet rights, that’ll never happen anyway. Still, The Green Hornet is a relatively recognizable superhero brand, meaning it’s valuable to someone, and that someone is apparently Paramount Pictures. 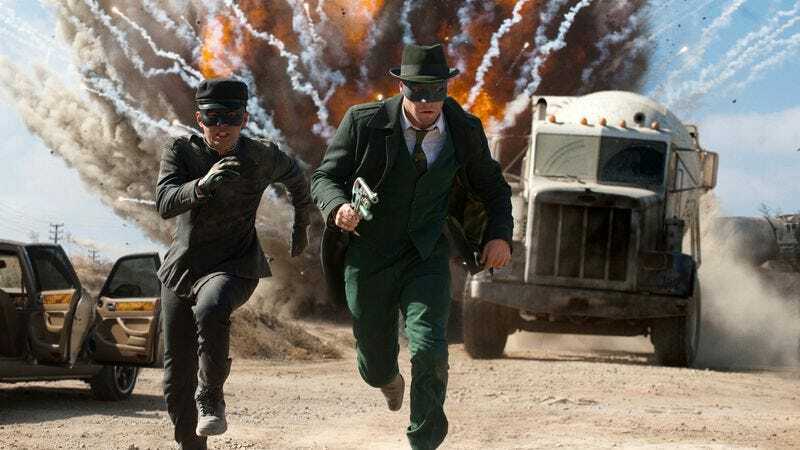 According to Deadline, the studio has just picked up the Green Hornet rights and is setting the stage for what sounds like one of those gritty reboots everyone love so much. The Accountant’s Gavin O’Connor will direct the film, and he seems very dedicated to making this the Dark Knight of Green Hornet movies. In a very enthusiastic statement to Deadline (seriously, he’s very excited about this project), he explains that his intention is to “[wipe] away the camp and kitsch of the previous iteration” by bringing “gravitas” back to The Green Hornet. O’Connor also says he wants to “re-mythologize” the character “in a contemporary context” by including themes that are relevant to our modern world. He goes into what that means and what the Green Hornet’s mindset will be in this film, but the biggest takeaway is that he’s putting a lot more thought into this than you might expect from a typical gritty reboot.